As a university Teaching Assistant, I learned to scan a student’s work for the telltale signs of academic laziness. At the top of my target list was any reference to Wikipedia as a scholarly source. I explained that it could be used as a jumping off point, but not as a credible academic source. Fast forward ten years and I am not sure I would be giving the same advice today, or at least I would not be dismissing the people’s encyclopedia outright. 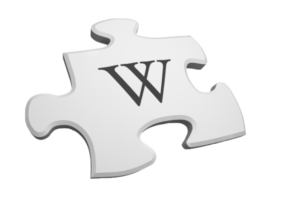 Wikipedia has become one of the most recognized and valuable sites on the Internet. According to itself, it consists of more than 38 million articles in more than 250 different languages. Its inherently open nature is at once its primary strength and its biggest weakness. Ultimately, it is an interesting experiment in the democratization of knowledge. Obviously, as an archivist, I would advocate that there is no substitute for consulting primary source material, however, archives are now recognizing Wikipedia’s limitless potential to diffuse archival content. Christiane Barbe, Chair and Chief Executive Officer of Bibliothèque et Archives National du Québec (BAnQ) spoke of the great potential for archives and Wikipedia in her plenary address at ACA 2016. She explained that the Wikipedia entry on any given topic tends to be the first hit from a keyword search. There is great potential for diffusing content and promoting discoverability, but archivists are also becoming aware that their expertise can be used to ensure content is available and accurate, for the advancement of a greater good. Over time, as more GLAM institutions (Galleries, Libraries, Archives, Museums) have embraced Wikipedia as part of their processes, the focus has shifted from a desire to use Wikipedia purely as an access tool, to helping to improve Wikipedia in general for the advancement of knowledge for the benefit of all users. There are many criticisms of Wikipedia, which have led some knowledge institutions to shy away from engaging with it. Amy Tector (Archivist at Library and Archives Canada) presented some common misconceptions about Wikipedia in her recent presentation at the annual conference of the Association of Canadian Archivists. Some of these misconceptions may have prevented wide-spread buy in for LAC’s engagement with Wikipedia, so it was important to address the concerns. One common concern is that anyone can edit entries and therefore, the validity of the information may be questionable. Amy explained that the community operates a self-policing methodology so that inconsistencies or intentional vandalism is kept to a minimum. There was also concern that Wikipedia is not a scholarly source, and therefore a library or archives should not be involved with something that is non-academic. However, this is precisely why libraries and archives should be involved with it, as they can bring expert knowledge and supporting sources. Wikipedia is designed as a tool for discovery and the advancement of knowledge. From this perspective, contributing to Wikipedia is completely in keeping with the mandate of libraries and archives. So how are archives and museums interacting with Wikipedia? Below are some examples of interesting ways that GLAM institutions are using the technology to connect millions of potential users with primary source content, while at the same time, improving the accuracy of Wikipedia and increasing its societal benefits. The British Museum was the first GLAM institution to experiment with the Wikipedian in Residence program as a five week pilot project in 2010. Wikipedian Liam Wyatt was to create or expand articles about notable items in the Museum’s collection and to support other Wikipedians editing articles related to the British Museum. The Smithsonian’s Archives of American Art had made a first attempt to engage with Wikipedia in 2007, but was frightened off because of spamming rules. Sara Snyder’s case study (in Outreach, edited by Kate Theimer) explains that several years later, following the success of the British Museum project, her institution was ready to give it another try. In 2011, Sarah Stierch became the Smithsonian’s first Wikipedian in Residence. An account of the complete project is available here and you can read more about Stierch’s time at the Smithsonian here. The U.S. National Archives followed suit in 2011 when they brought Dominic McDevitt-Parks on board. The partnership was intended to “assist in Wikipedia’s expansion and improvement of the quality of coverage of topics related to the holdings of National Archives.” For more discussion of this project, see the National Archives’ Blog. The program has seen much expansion since then, with projects ongoing all over the world. The National Library of Wales employed a Wikipedian in Residence between January 2015 and January 2016. They conducted nine public edit-a-thons that resulted in 81,500 edits; their exposure included 859,500 Twitter impressions; and Wikipedia embedding has now become part of the institution’s policies and practices. This infographic explains the results after the twelve month project. For a list of over a hundred ‘Wikipedian in Residence’ programs from all over the world, many of which are still active, click here. One prominent criticism of Wikipedia is its gender bias, given that contributors are overwhelmingly male. This gap was identified in 2008, when a study by the Wikimedia Foundation found that only 13% of editors were women. As a result, articles about women are often noticeably absent. This trend has unfortunately remained true through the years, though there are now many efforts to increase female editorship. You can read more about this here. Recently, there have been efforts by libraries, archives, and activist groups to rectify the gender imbalance in the articles available on Wikipedia. The Schlesinger Library at Harvard University held an edit-a-thon in March 2015. Thirty people gathered with the express aim of learning how to add and improve entries on women in STEM (science, technology, engineering, and math) fields. A post on ARCAN-L recently caught my attention on this subject (posted July 11, 2016). Stacy Allison-Cassin, a Digital Humanities Librarian from York University, is organizing “a pan-Canadian initiative focusing on expanding content related to Canadian music in Wikipedia through hosting coordinated edit-a-thons in conjunction with the 150th anniversary of Confederation in 2017.” I was pleased to see this posted to the archives listserv, as it seems to be an area where archives could be helpful. Anyone looking to participate is encouraged to contact Stacy directly. There has also been an effort to rectify imbalances in minority representation on Wikipedia. Krista McCracken wrote a great piece on Active History about her foray into Wikipedia editing that began when she was curating a display on Brian Vallée, who was a documentary film producer and vocal advocate for victims of domestic violence. She and her colleague soon found that there was no Wikipedia article about him. She then discovered that there were also large gaps in the record related to Residential Schools in Canada, the reconciliation process, and Indigenous women. She was inspired to investigate the Wikipedia editing process in order to promote discoverability of her archives’ collections and address some prominent subject gaps. I asked around for a Wikipedia enthusiast in the Canadian archival community and the name that came up most was Danielle Robichaud. She was kind enough to answer a few questions about her experiences with Wikipedia. Spoiler alert- she’s a fan and she thinks we should be too! Question #1 – How did you get involved with Wikipedia? My involvement with Wikipedia started while I was a public servant with the federal government. Several of the internal government wikis run on MediaWiki, the same platform behind Wikipedia, so the jump to editing externally was relatively smooth because I was already familiar with Wiki markup and the Five Pillars. After leaving the public service, it took me a while to get comfortable editing Wikipedia because I was concerned about screwing up. I began by adding finding aid links and making minor text edits to pages relevant to the archival holdings where I worked. I also got involved with WikiProject Orphanage, which often required the expansion or improvement of available text to work in wiki links. As I got more confident I started overhauling existing pages or creating new ones. Along the way I have done my best to get other archivists involved – an early example is the expansion of the List of archives in Canada page and a more recent one is the on-going revision of the Canadian Indian residential school system page. (Nod to Allana Mayer for deep dive contributions on both fronts.) I have also worked with Amanda Hill to develop a Wikipedia for Archivists workshop that we run through the Archives Association of Ontario. It gives archivists a crash course in how to edit and prompts them to start thinking beyond simply adding in links to external resources. To support that goal, I created Wikipedia:GLAM/Ontario archives where people can make suggestions for pages that need to be improved or created based on Ontario’s archival holdings. Although this is a regularly used project template, the seed for the Ontario version was planted after reading an article by Chloe Raub in Archival Outlook. Question #2 – Can you describe your time as a Wikipedia Visiting Scholar at McMaster University? Visiting Scholars receive year-long access to an academic library’s scholarly databases. Beyond a baseline commitment of creating or improving 10 pages, Visiting Scholars are free to edit based on their personal interests, expertise or subject areas identified by the school providing database access. In my case, I used McMaster’s archival holdings as a jumping off point for improving existing Wikipedia pages. Given Wikipedia’s well-documented editing gender gap, I tried to focus on people or events that aren’t well represented, which often includes women, people of colour, Indigenous related issues or topics, and individuals who identify as LGBTQ+. The first person to get dedicated attention was Lady Constance Malleson. She was an actress and writer, and was active in the Pacifist movement, but the focus of her page for nearly 12 years was her affair with Bertrand Russell and the open relationship she had with her husband. There’s still work to be done, but thanks to access to McMaster’s historical newspaper databases, I was able to introduce a more balanced overview of her life and career by illustrating that she amounted to more than her intimate relationships. Question #3 – What do you think are the benefits of engaging with Wikipedia for archival institutions? Unlike our institutional descriptive databases and web pages, Wikipedia is consistently one of the most viewed websites on the internet so contributing is a clear decision to go where we know people are looking for information. As archivists we are often among the experts about the people, events and organizations represented in their holdings and we have the writing skills to develop well-rounded and well-referenced Wikipedia pages. Those types of substantive contributions are significantly more meaningful than limiting ourselves to links to finding aids or collection pages (which are admittedly important and welcome). From a completely pragmatic standpoint, how nice would it be to write a brief sentence about who a person was in the Biographical Sketch field and link out to an authoritative Wikipedia page, you helped develop, for more complete and detailed information? And, does it sweeten the deal if I remind you that other people will help update the text when someone dies or new information is discovered so that your finding aid doesn’t go stale overnight? Finally, I think that Wikipedia can do wonders when it comes to pushing cultural professionals to think critically about our mandates and responsibilities to the public. Yes, funding and metrics dictate much of what we do, but we seem disconcertingly committed to recreating the silos and access barriers that defined the paper world as we engage with the digital realm. I fully credit Wikipedia with dramatically re-positioning my guiding principles as an archivist when it comes to service and access. Question #4 – Do you see any drawbacks? At the risk of being flippant (and failing to answer the question at hand..! ), I would say the only persistent drawback stems from the narrow outlook GLAM professionals tend to bring to the platform. Far too many view Wikipedia as a means to an end where the end is, very often, promotion by way of creating a page for our organization rather than contributing to the broader knowledge base. In the cultural realm we are groomed to think within the confines of funding cycles, reporting metrics, and watermarks. That type of restrictive lens significantly narrows how we approach and think about contributing to a heavily used information resource that continues to evolve as we decide if we want to take it seriously or not. Question #5 – Is there anything else you would like to add on the subject? After reading Danielle’s responses, I am even more intrigued and excited about Wikipedia. I love the idea of the people’s encyclopedia. Though I don’t believe it will ever replace primary source research, if archives continue to partner with this popular platform, it will only improve and a lovely by-product of that improvement will be increased awareness of and access to archival collections. We will also be helping to make the encyclopedia better and increase shared knowledge. I have learned that this is the goal of the wiki movement. It’s bold, far-reaching, and ultimately noble. Ordinarily, I might have been scared off by it’s perceived flaws and (at first glance) strict rules, but I see now that the opportunities and benefits are exciting and so I may just wade into the Wikipedia waters. Thanks for the mention, Emily. One thing I wanted to point out is that Margaret Ashburner, our MIS student extraordinaire, had a huge part to play in creating LAC’s ACA presentation and she was on hand to present it in Montreal. Wonderful. Thanks for letting me know about Margaret’s involvement.